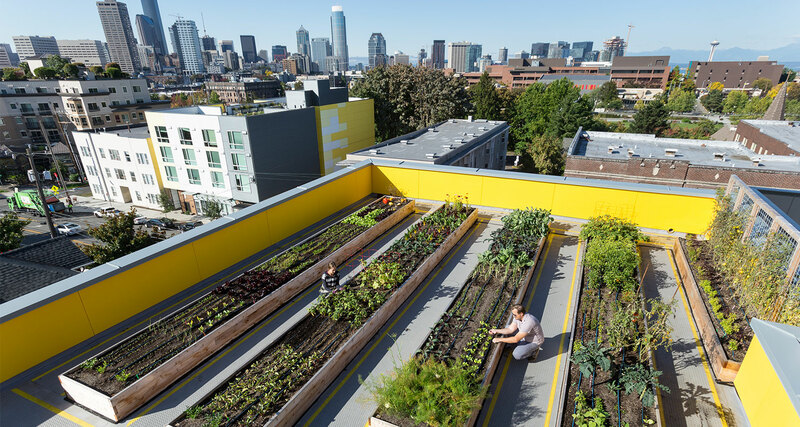 Maximizing the spirit of community, density and sustainable standards, the Capitol Hill Urban Cohousing project encompasses nine open floorplan homes, a community gathering space known as the living room, ground floor retail and a rooftop urban farm. The members of this 4,500 sq. 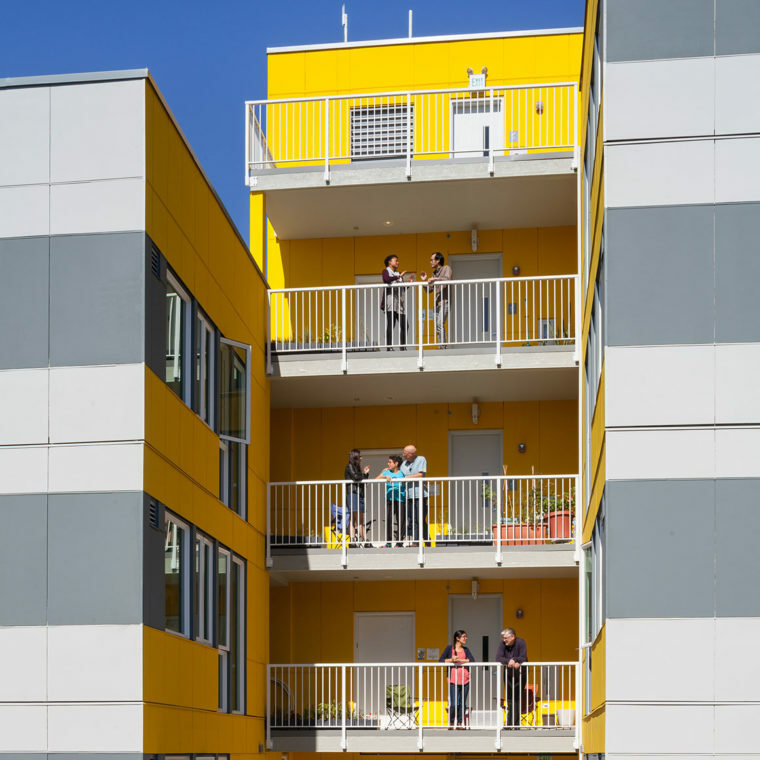 ft. intergenerational community believe in the value of sharing, environmental stewardship, contributing to the neighborhood, maintaining strong interpersonal relationships, and good health. 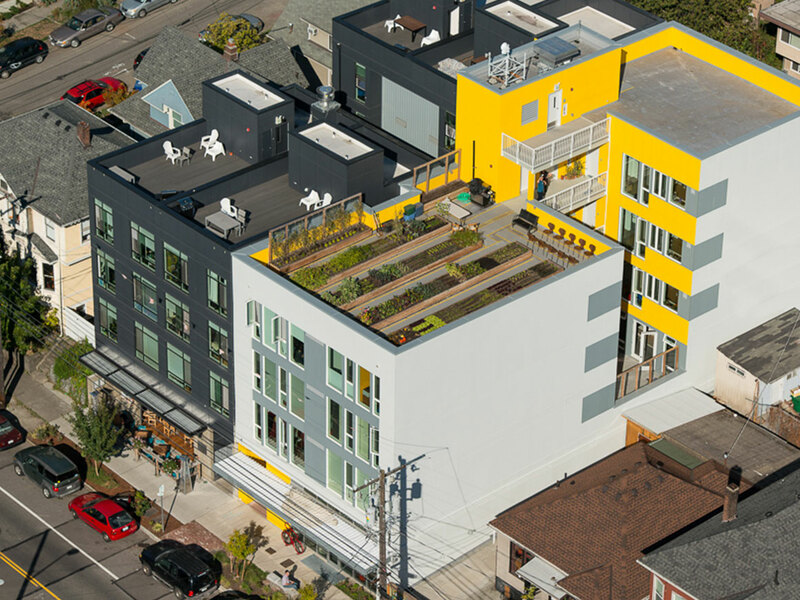 Capitol Hill Urban Cohousing Vision: community bridging generations, aiming to be good neighbors on Capitol Hill. 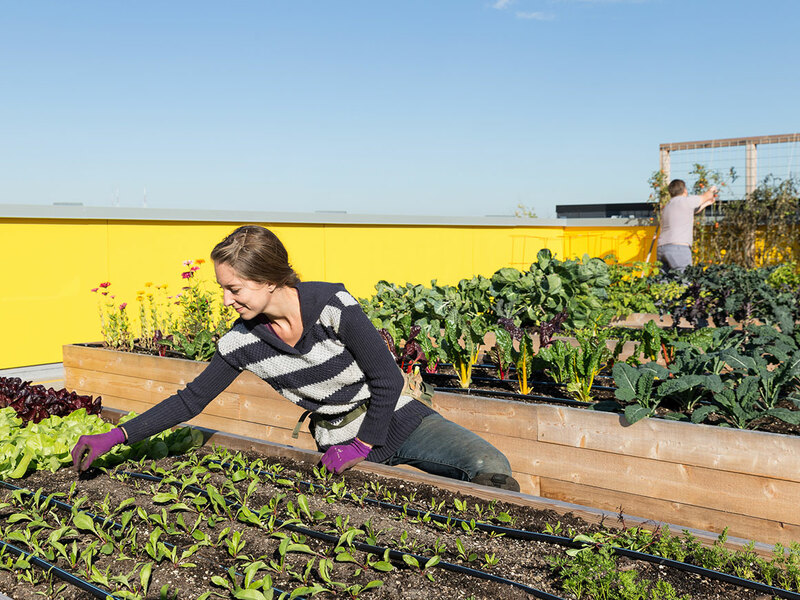 We value sharing and seek health, both for ourselves and our planet. 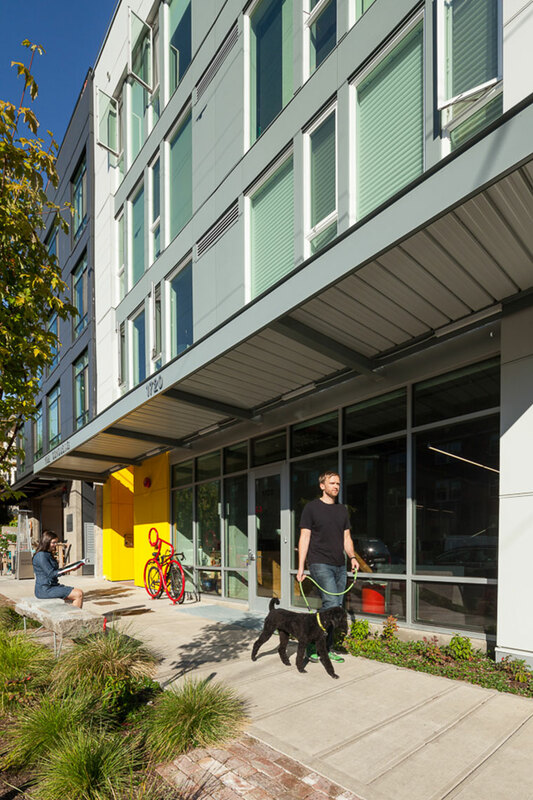 The vision of making “20-minute living” a reality informed the team’s design approach and the early design renderings to develop properties adjacent to the soon-to-be-opened light rail station. A large public plaza featuring sculpture and seating serves as a grand entryway and an extension of Seattle Center’s Northwest entrance resulting in a lively pedestrian environment.